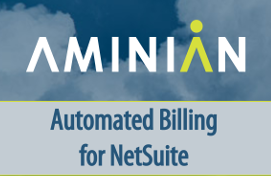 Aminian’s Automated Billing SuiteApp automates the sales order approval process within NetSuite, reducing the time and resources associated with managing sales orders by allowing selected orders to be automatically invoiced based on user-defined preferences. Ideal for businesses with a large number of sales orders, the Automated Billing SuiteApp streamlines time-consuming A/R processes and allows all sales orders to be easily managed in your NetSuite account. Standardize your sales order and billing processes and boost employee productivity with our customizable Automated Billing solution. Your Accounts Receiveable staff now have the ability to automatically approve and invoice sales orders within NetSuite. This provides increased efficiency and ensures that the order management process begins and ends within your NetSuite account. Allow your A/R staff to automatically approve and invoice sales orders based on user-defined, system-wide settings. Pending sales orders can be designated for automated approval and invoicing based on any customer or order criteria. All sales orders falling outside of the user-defined billing criteria remain in the “Bill Sales Orders” queue within your NetSuite account. Data from all automatically approved & invoiced sales orders is saved in the customer record and transaction record inside your NetSuite account for future tracking and reporting. Automatically generated invoices created in the Automated Billing bundle can be emailed to your customers or printed for alternative methods of distribution.